What separate Peskind Law Firm from many other law firms is we employ our very own accountant who will work closely with our divorce lawyers in St. Charles to help plan out advantageous settlements for our clients. If for any reason you have any questions or comments about a divorce lawyer in St. Charles, feel free to give us a call at 630-444-0701 or fill out the form to the right and a representative will respond shortly. If you were unsatisfied with a prior outcome through other law firms, we also provides divorce law appeal services. 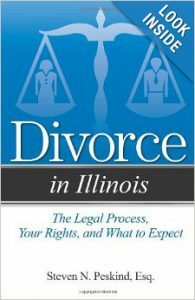 Appeals are much more difficult to handle than trial court, which is where you would need our divorce lawyer services in St. Charles. At Peskind Law Firm, we provide supportive and organized divorce lawyer services in St. Charles to serve you during these difficult times. Our divorce lawyer services in St. Charles regularly assist couples to help make the process as smooth as possible. Our divorce lawyer services in St. Charles are considerably more affordable compared to other law firms and we will stand behind you every step of the way to get you the best possible outcome during this difficult time. If for any reason you have any questions or comments about a divorce lawyer in St. Charles, feel free to fill out the form to the right and an associate will respond shortly or give us a call at 630-444-0701.